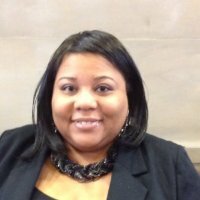 Brittney Yancy is an Assistant Professor of Humanities at Goodwin College and serves as the Content Coordinator for Goodwin College’s Special Collections, specifically the Alex Haley Collection. Professor Yancy is also a doctoral candidate at the University of Connecticut where she is completing her degree in 20th Century United States History. Professor Yancy’s research interests focus on black women’s political and intellectual history; her dissertation explores women’s leadership in the Black Panther Party. Professor Yancy has authored numerous journal publications and a book chapter, and has received several awards and grants from various funding institutions such as the Harvard University’s Schlesinger Library Grant. In addition to being a historian, Professor Yancy is an intersectional scholar-activist and committed to a gender inclusive movement for racial justice. From working with President Obama’s Council on Women and Girls to working with Columbia University’s African American Policy Forum, Professor Yancy has attended forums, planned roundtables and hosted a #SAYHERNAME rally to honor the humanity of women and girls of color. Professor Yancy belongs to several professional organizations including National Council of Black Studies and Association for the Study of African American History and Culture. Her civic organizations include Alpha Kappa Alpha Sorority, Inc. where she is entering 15 years of service. Born a native of St. Louis, MO, Professor Yancy is a proud Hampton University alumna.